(Beyond Pesticides, November 9, 2016) Seven state attorneys general (AGs) have joined together to investigate federal antitrust concerns related to the merger of agrochemcial giants Dow Chemical and DuPont. A separate group of state AGs is expected to form to simultaneously probe a similar merger between Bayer and Monsanto. This involvement signals grave concern from states over the prospect of these large-scale mergers, which would concentrate control in fewer companies, thus giving monopoly status to a smaller number of chemical manufacturers in the agrochemical industry. Reuters reports that the involvement of the state AGs will increase scrutiny of these mega deals, as they were previously only being reviewed at the federal level by antitrust experts at the Department of Justice (DOJ). Since DOJ has yet to file a lawsuit opposing the mergers, groups and individuals who want to see the mergers blocked are thrilled to see the states get involved and urge DOJ to act. 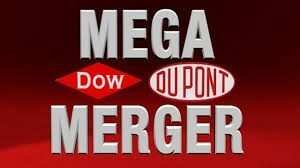 The discussion on these mergers began back in December 2015 when chemical giants DuPont and Dow Chemical Companies announced that their boards of directors unanimously approved a merger of their companies through an all-stock deal, valuing the combined market capitalization at $130 billion. Then, in May of 2016, Bayer AG made its first bid for Monsanto, worth $42 billion, in an attempt to swallow the global seed and chemical producer and become the world’s biggest farm chemical supplier. Though that initial bid was initially rejected, Bayer and Monsanto eventually reached an agreement in September 2016 to the tune of $66 billion. A third industry merger between China National Chemical Corp and Syngenta AG is also in the works, having received the go-ahead from the Committee on Foreign Investment in the U.S. (CFIUS). However, the ChemChina-Syngenta merger is unlikely to be investigated by state AGs, as it does not involve a U.S. company. The consolidation of these large players in an already tightly controlled industry is concerning for dozens of reasons. Advocates say that not only do the proposed mergers likely violate U.S. antitrust law, they also pose significant potential threats to U.S. security interests, undermine food security in the United States and worldwide, disrupt trade flows, and accelerate the international consolidation of the food and agribusiness industries to the detriment of American farmers, rural communities, and consumers. If allowed to combine, Dow and DuPont will occupy 41 percent of the market for U.S. corn seeds and traits and 38 percent of the U.S. soybean seeds and traits market, according to a Morgan Stanley research report in February. It is also estimated that if all the deals were to close, the three resulting companies would control nearly 70 percent of the world’s pesticide market and 80 percent of the U.S. corn-seed market, a harrowing statistic for anyone concerned about the impact chemical-intensive agriculture has on soil quality and overall environmental health. According to sources from some of the state AG offices joining the probe, who wish to remain unnamed, the states are concerned that the companies may raise pesticide and herbicide prices for farmers following a merger, and have less incentive to compete to introduce better and cheaper products. They also suggested that Bayer-Monsanto will likely focus on the companies’ overlap in cotton seed as well as trait licensing, since Bayer licenses genetic traits that make seeds resistant to Liberty, a popular herbicide, while Monsanto licenses traits that make seeds resistant to Roundup, another popular herbicide containing glyphosate. While it will ultimately be up to DOJ to decide whether to file a lawsuit against either of the mergers, the state AG offices will be crucial in providing information on how the mergers will affect their jurisdictions. This method of investigation has worked to stop mergers in the past when the DOJ, with help from the states, sued last July to stop two controversial health insurance provider deals in Aetna Inc’s plan to buy Humana Inc and Anthem Inc’s bid for Cigna Corp. In that case, 11 states and the District of Columbia joined the federal government in the Anthem lawsuit while eight states and Washington, DC, joined the Aetna lawsuit. Wondering how to get involved in opposing the agrochemical industry mergers? Reaching out to your U.S. Senators and Representative to ask them to reject the approval of a merger that consolidate seed availability, and encourage them to instead focus on increasing the availability of organic seeds, which do not negatively impact soil, water or human health is a good way to start. Additionally, reaching out to your state AG office and encouraging them to join the merger investigations is another way to ensure the DOJ takes action to block the mergers. Finally, you can educate yourself on organic practices, which work to build the soil and maintain an ecological balance that makes chemical fertilizers and toxic synthetic pesticides obsolete. This entry was posted on Wednesday, November 9th, 2016 at 12:00 am	and is filed under Corporations, Dow Chemical, DuPont. You can follow any responses to this entry through the RSS 2.0 feed. You can skip to the end and leave a response. Pinging is currently not allowed.